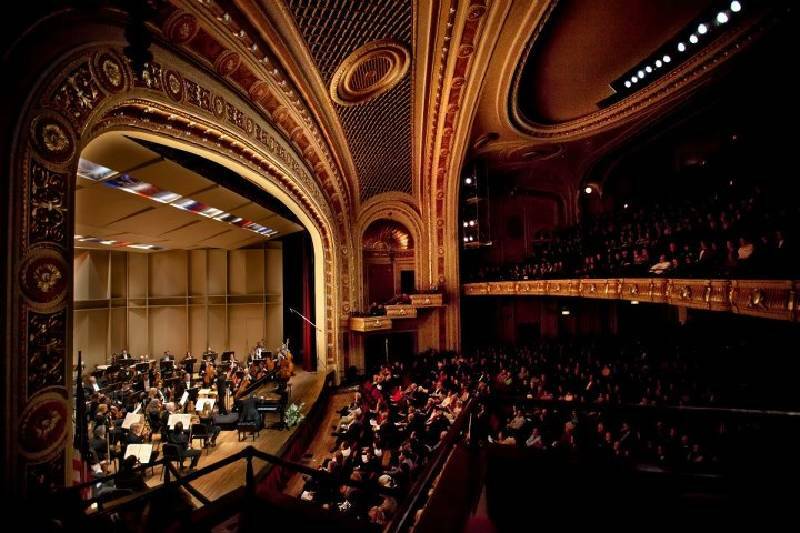 The Chattanooga Symphony performs in the Tivoli. "Variations" was the theme for the latest outing of the Chattanooga Symphony Orchestra on Saturday at the Tivoli Theatre. It began with Tchaikovsky's miniature "Orchestral Suite No. 4, Op. 61," more commonly known as "Mozartiana." Maestra Kayoko Dan turned in some nice work during the first three delightful movements; then Tchaikovsky ran out of inspiration, leaving the ensemble with nothing of substance to play. That was quickly remedied, however, with Sergei Rachmaninoff's "Rhapsody on a Theme of Paganini, Op. 43." While most composers in the early 20th century assailed their listeners with dissonant new music, Rachmaninoff seemed stuck in the Romantic era -- and the public loved it. Niccolo Paganini was the unchallenged showman of the violin a century earlier, known for a level of virtuosity -- it was rumored -- that came from being in league with the Devil. Paganini's dauntingly difficult composition "Caprice in A minor" became the basis for Rachmaninoff's visionary work for piano and orchestra. The title "Rhapsody" generally refers to a more capricious treatment of material than does the term concerto. This work consists of 24 variations with dreamy No. 18 being the most famous, appearing in movies such as (appropriately enough) "Groundhog Day." Tackling this monumental work was the diminutive guest soloist, Qing Jiang. From the first notes, it was obvious from her dazzling technique and velvety touch why she already has amassed a long list of honors. Both orchestra and soloist set a breathless pace and Jiang's dramatic playing added to the exciting performance, diminished only by a certain lack of physical power and Romantic passion. After intermission, concertgoers were treated to another pillar of variation technique, Edward Elgar's "Variations on an Original Theme for Orchestra ("Enigma"), Op. 36. This work consists of 14 variations, inspired by people he knew. The "Enigma" (or mystery) of the title refers to the theme upon which the variations are based, but one that is never stated in the music -- or still identified by scholars. Whatever the original musical motivation, the CSO gave a passionate and masterful performance, encompassing the nobility and grand sweep of this music. The strings (led by concertmaster candidate Xian Meng) were luxurious, the woodwinds mercurial and the brasses daunting. Under Maestra Dan's sure touch, the work surged relentlessly to a thrilling climax. Not a bad finish for Groundhog Day.